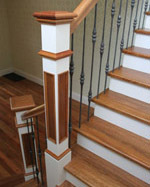 If you have ever watched American TV programs such as Desperate Housewives, you may have noticed the fantastic stairs that are in some of the homes. 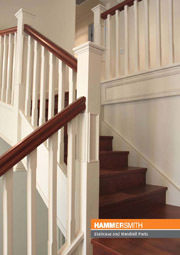 We have designed a range of posts and accessories that replicates that look, and have given it the name, Prestige Stair Posts. At this stage these products are not available in our online shop, but you can download the catalogue (click on the link below). 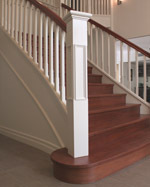 A range of posts and fittings suitable for American style staircases. Due to their complexity, they are not available on our online shop, but if you are interested in finding out more, please feel free to contact us. 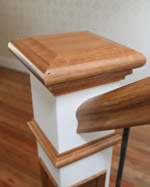 If you would like to find out some more info, please feel free to contact us.